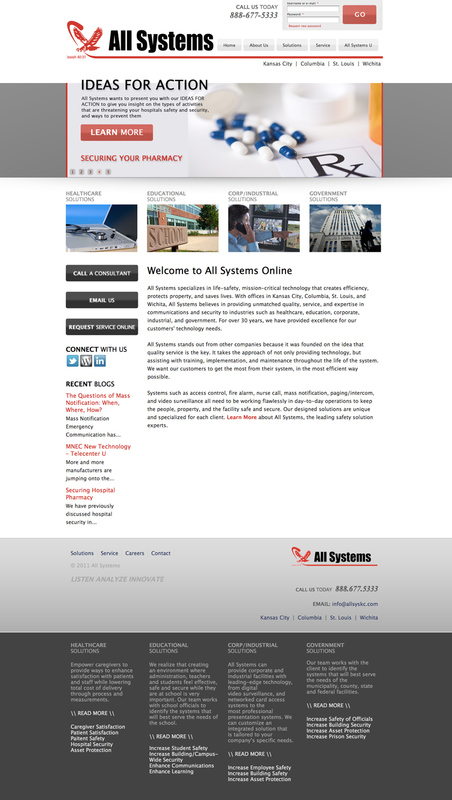 All Systems needed a clean, modern design for their website. While working closely with their marketing coordinator we assessed the importance of each piece of information on their site and how it interacted with the user. Most importantly we worked on how it brought the client full circle to contact their offices. 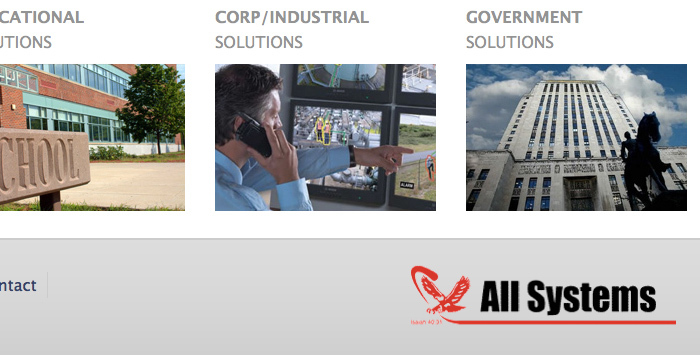 All Systems provides services to 4 separate industries. All of their service areas are just as important as the next so they each had to be organized in a non hierarchal way that was fluid and consistant. 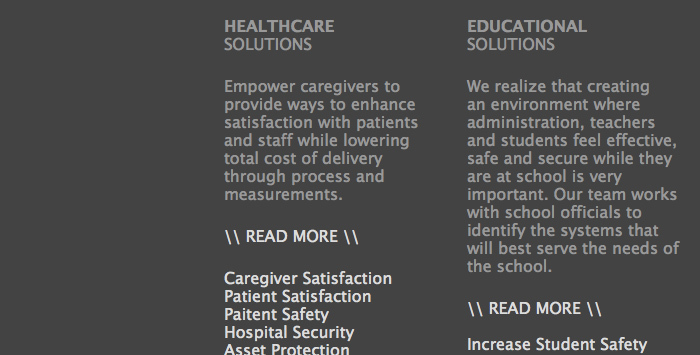 Providing service area icons on every page and a footer that links to each service's detailed section provides the user a one click access point to anywhere they need to go on the site. 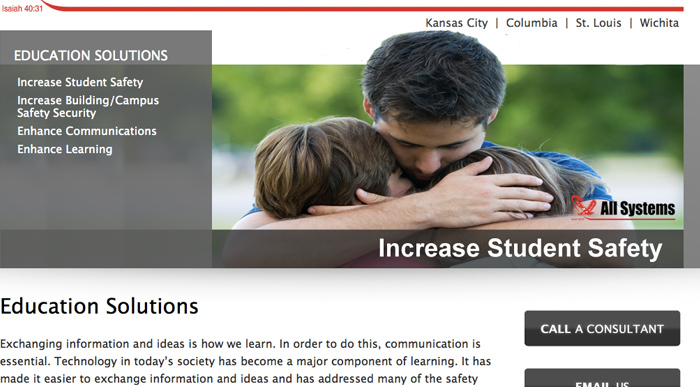 The banner images tell the story about each page. Some of them rotate showing the different items available in the section they are viewing. The rotating banners are clickable to access that highlighted page. There is also a login / client restricted capability to this site. All Systems needed a way to separate public from private content. They can assign usernames and passwords for their clientele to access certain documents pertaining to their industry.